The Mayflower was headed toward the Dutch territory of New Amsterdam in 1620 when she was blown off course and landed at Plymouth Rock, rather than Manhattan. The Pilgrims proceeded to found their own colony and create America. 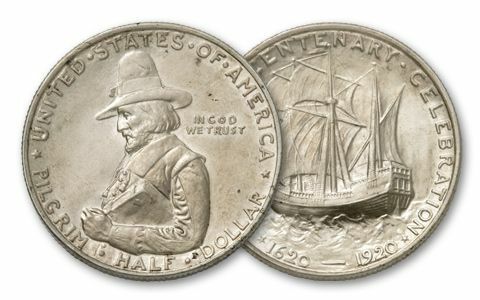 This 1920 Pilgrim Commemorative Half Dollar was struck to celebrate the 300th anniversary of the landing. 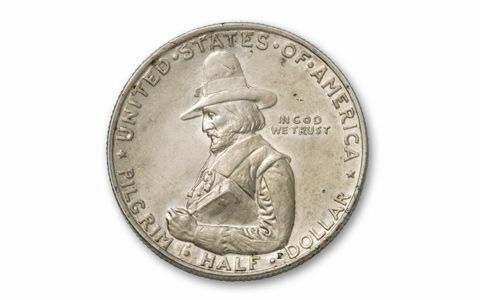 It shows the Mayflower, and Pilgrim governor William Bradford carrying his Bible. 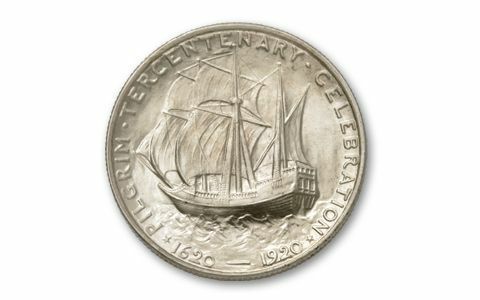 This classic 90% silver commemorative is one of the most beautiful U.S. coins ever minted, and it has been sought after by collectors for over 90 years. Many have been melted, while others wore down in circulation, but you can get them now in high-detail About Uncirculated (AU). Includes a certificate of authenticity.